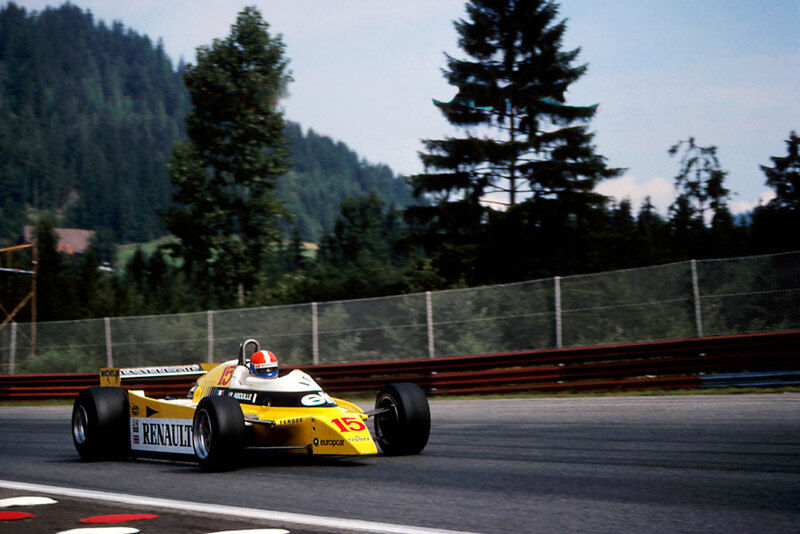 Jean-Pierre Jabouille, who had not finished in any of the previous nine rounds, won the Austrian Grand Prix, holding off the determined championship leader Alan Jones and his Williams team-mate Carlos Reutemann. The Renaults of Jabouille and Rene Arnoux occupied the front row but it was Jones who took the early lead from the second row, but within four laps he was back in third. Arnoux was plagued by tyre problems and lost the lead on the 21st lap when forced to pit. He returned to break the lap record but in doing so wore out his rear tyres and pitted again; two more stops followed. Jabouille maintained a ten-second lead over Jones but that gap reduced over the concluding laps as the Renault began to struggle and by the finish there was less than a second between them. Jabouille admitted afterwards he could only have continued for two more laps, adding: "I felt I was driving on eggs." Jochen Mass missed the race after a big crash during Friday's practice which left him trapped upside down in a field. Six drivers were fined a total of £11,000 after ignoring the resulting red flag. Jones for one applauded the decision. "They fight for greater safety on the circuits and then they ignore the red flag." Lotus test driver Nigel Mansell was finally given his chance in a third car, only to have to start the race in a fuel-soaked race suit. After 40 laps of sitting in petrol he retired and required hospital treatment for burns. With Nelson Piquet back in fifth, Jones' lead in the championship was extended to 11 points with four rounds remaining.